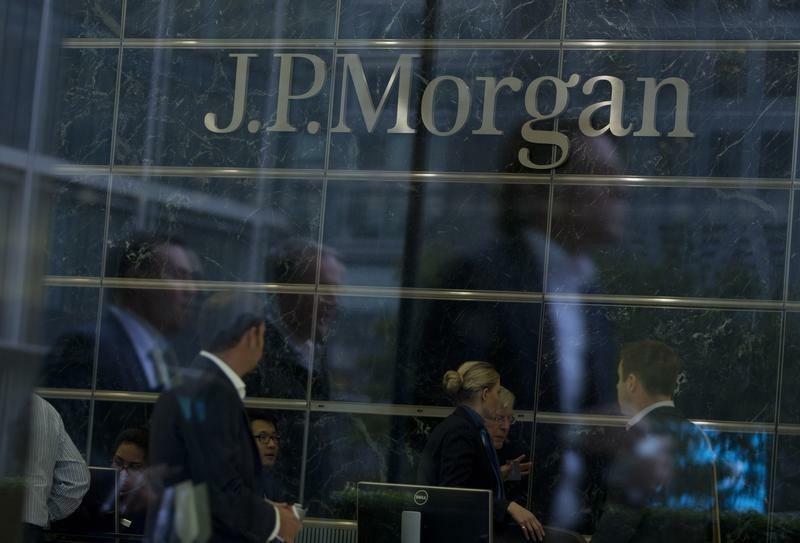 LONDON (Reuters) - U.S. bank J.P. Morgan (JPM.N) pays managing directors at its investment bank in London an average of 461,000 pounds ($737,877), substantially more than pay across its rivals, according to a survey. Emolument, a website that benchmarks salaries, said on Thursday the average salary and bonus for JPMorgan managing directors was more than 13 percent higher than the next best paying bank, Deutsche Bank (DBKGn.DE), which paid its managing directors an average of 402,000 pounds. Bank of America Merrill Lynch (BAC.N) paid an average of 376,000 pounds, according to Emolument, which said its estimates were based on responses from 640 bankers regarding their 2013/14 salaries and bonuses. UBS (UBSN.VX), Citigroup (C.N) and Morgan Stanley (MS.N) each paid managing directors an average of more than 350,000 pounds, the survey showed. Goldman Sachs (GS.N), long considered one of the top paying banks, ranked ninth in the survey with average pay of 330,000, and Barclays ranked 13th.